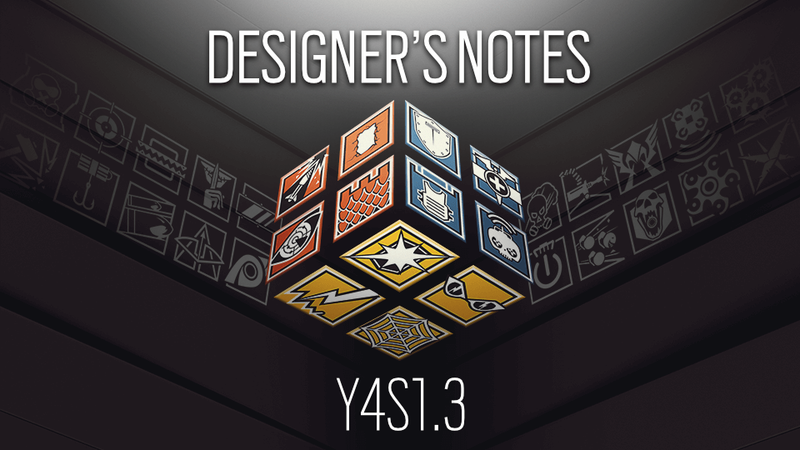 Halfway through each Season, the “Designer’s Notes” shares information about the work of our balancing team. We are using data gathered since Wind Bastion balancing changes and the introduction of new Australian operators. We use player feedback to help show us where to begin looking, and data to drive balancing changes. Combining both of these aspects helps us to decide if adjustments are needed. Sharing this data should give everyone as much context as possible to explain our changes and explain the reasoning behind them. 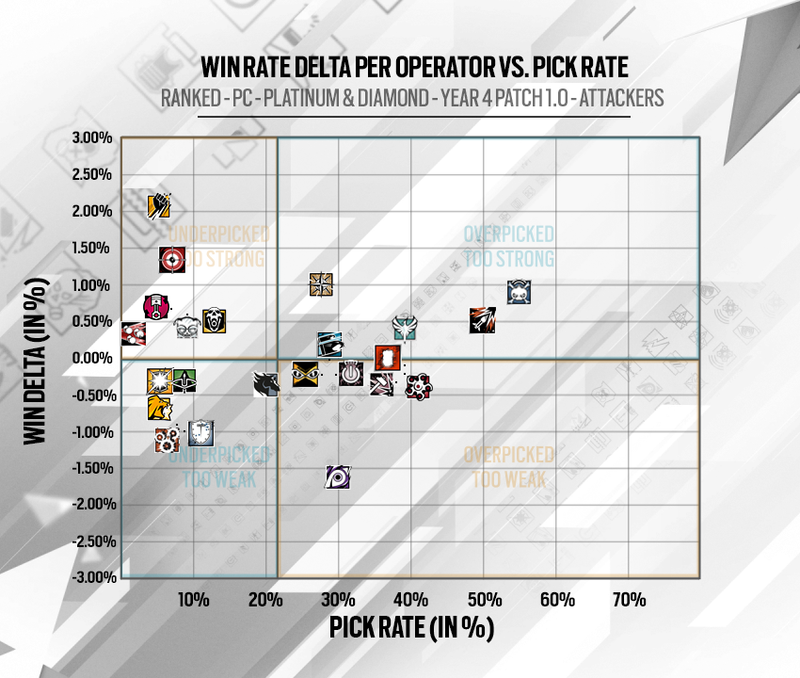 The removal of Ash’s ACOG removal with Burnt Horizon was an attempt to reduce her pick rate. We removed a popular attachment that was unnecessary to her role as an opener. Following an impressive drop of 20% in her pick rate, she remains a very popular attacker and her win ratio has even improved. Fixed – RX Vega users are experiencing artifacting on operators since Y3S4.2.4 maintenance. Fixed – Some players experiencing FPS drops after the Y4S1 update. Fixed – Launcher projectile trajectory is off when viewing launchers from a 3rd person POV. Fixed – Drone jumping SFX can be heard from an idling drone. Fixed – After entering a game with a join in progress, the spectated player is replicated with no weapon in hand. Fixed – Operator shuffles around in a loop while being spectated in support mode. Fixed – [PC] When raw input is off, alt–tabbing/refocusing on the game window results in a trigger pull. Fixed – Missing Open button prompt when on Party panel with Controller. Fixed – Recently deployed pest devices are not having their area of effect radius displayed on the end–of–round replay. Fixed – Two pests can hack the same drone. One pest, one drone. Fixed – Pests shot on the sides of the photocopy machine in 2F Briefing Room of Fortress stick in the air. Fixed – Planting the Defuser next to a partially deployed Trax Stinger prevents detection by Defenders. Fixed – Trax Stingers can sometimes deploy inside an object or pass through objects. Fixed – Trax Stingers that were recently deployed are missing their outline on end–of–round replay. Fixed – Trax Stingers do not deploy after the object in which the first stinger was deployed is partially destroyed. Fixed – If killed under the effect of Zofia’s Concussion Grenade, the effect will persist until the game is restarted. Fixed – Players have a long line of sight in 2F Armory of Border. Fixed – Gridlock’s Trax Stingers stick to the wall on a does not deploy properly in 1F Detention of Border. Fixed – Invisible collision at the EXT Backyard rocks in Chalet. Fixed – LD issue with stone wall in Front Yard Patio of Chalet. Fixed – Players can hide inside the furniture of 1F Nature Room in Outback. Fixed – Hole in the room allows players to fall into 2F Mezzanine of Outback. Fixed – Players that vault over the fence near EXT Storage Yard in Outback can get stuck in a barrel. Fixed – Players can vault on top of the vending machines in 1F Convenience Store of Outback. Fixed – Players can vault onto shelves in the 1F Garage in Outback. 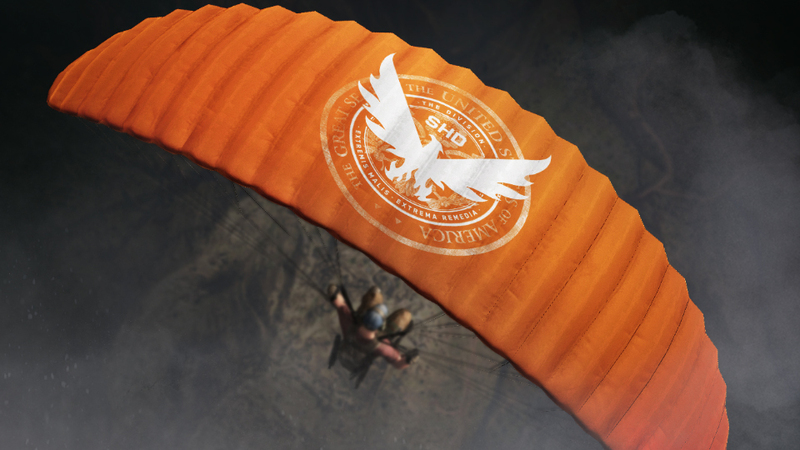 Fixed – Players can reach the top of the Tent in Gear Store in Outback. Fixed – Players can vault onto the fridge in the 1F Convenience Store of Outback. Fixed – C4 explosion damage goes through floor/ceiling and does damage, but does not destroy it. Fixed – LOD issue with drapes on the west side of 2F Dorms of Outback. 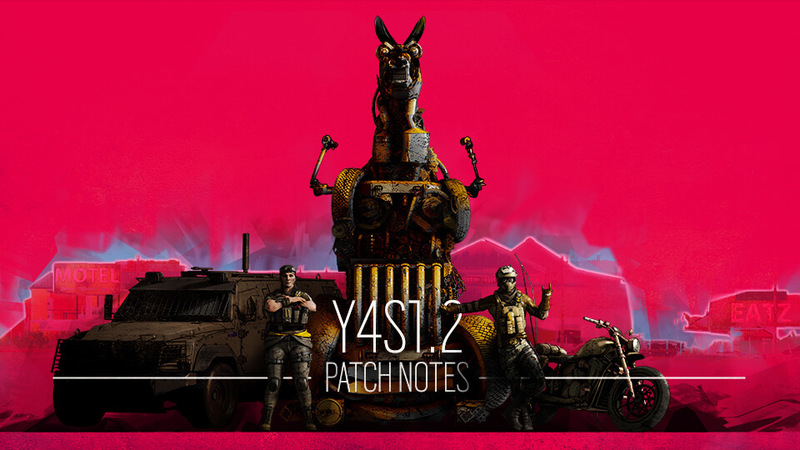 Fixed – The Outback splash art when loading the map is low–res. Fixed – Sledge’s Breaching hammer doesn’t destroy blue plastic tarps in 2F Garage Lounge of Outback. Fixed – Damascus Steel skin is missing from Maverick and Clash’s weapons. 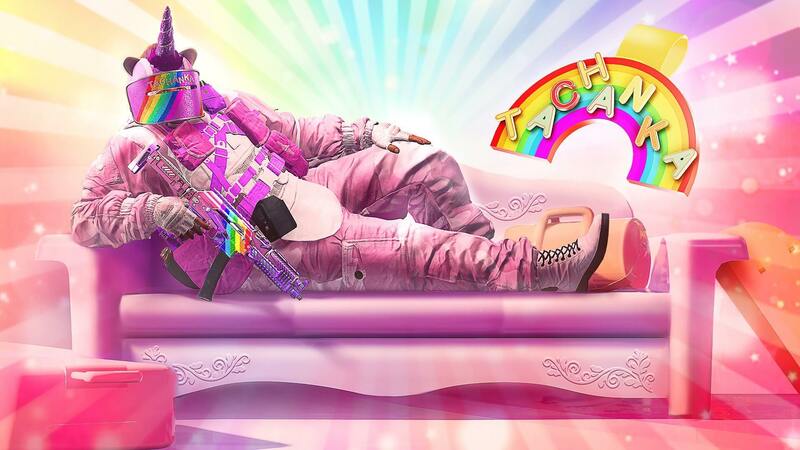 Fixed – The "Year of the Pig" weapon skin is not applied on several weapons. Fixed – Southern Regiment skin does not display properly on the Super Shorty. Fixed – The Signature Six ’19 weapon skin for Thatcher’s AR33 is corrupted. Fixed – Blitz’s Elite shield skin is not replaced when another uniform is equipped. Fixed – Glaz’s Elite Lethal Citizen scope does not show the star decal. Fixed – Blitz Elite Panzerstärke shield skin does not show elite pose. Fixed – Mute’s Elite has missing SFX for his Jammers. Fixed – Glaz’s operator screen does not show the name of the equipped elite uniform or headgear. Fixed – Interrupting the opening pop–up of a pack for universal or seasonal skins shows operators icons. 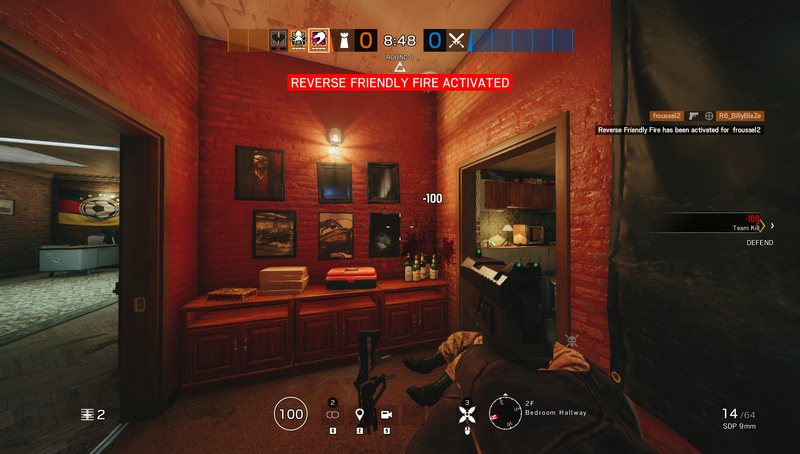 Fixed – Missing button on the right handle of Jager’s gadget. Fixed – Hibana missing eyelashes while equipped with Virtual Abyss Headgear. Fixed – Players can’t see equipped charms on the Commando 9 in first person POV. Fixed – Square shaped Charms clips in 416–C Carbine and R4–C. 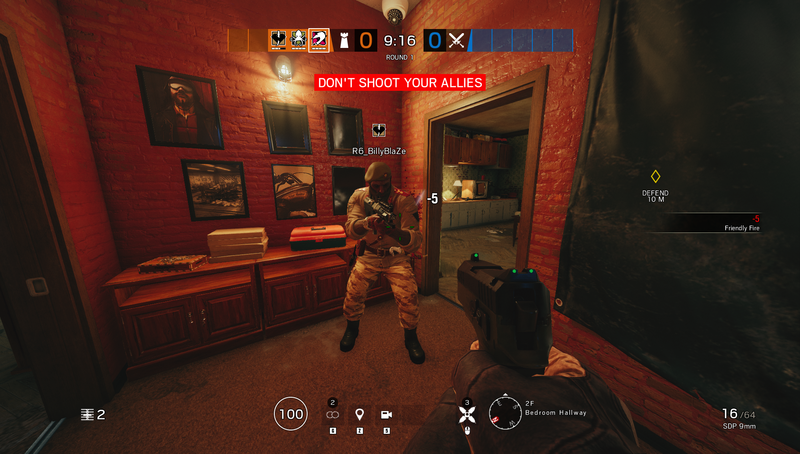 With Reverse Friendly Fire, when a player shoots an ally or the hostage, a warning message will appear on the offending player’s screen. The same will occur if a player uses their unique operator gadget to hurt a teammate (i.e. 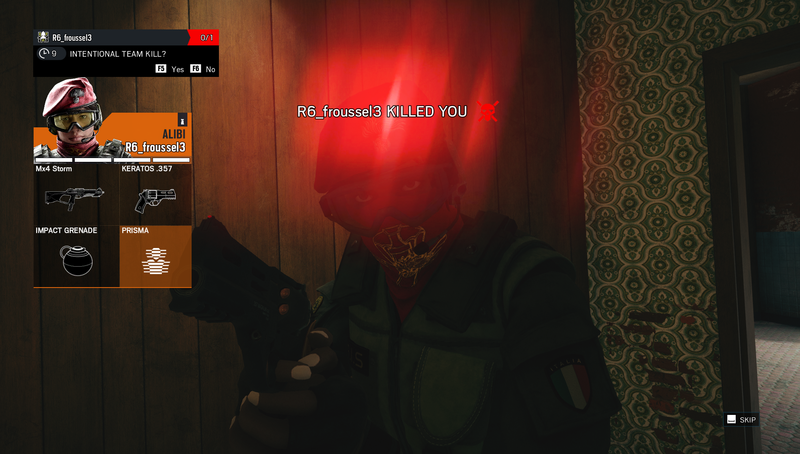 Maestro’s Evil Eye or Twitch’s drone). A message will pop up for the offending player to notify them when Reverse Friendly Fire has been activated. All players in the match will be notified of this change to the offending player’s status through the kill feed. We will continue to address toxicity as we proceed into Year 4 and beyond. 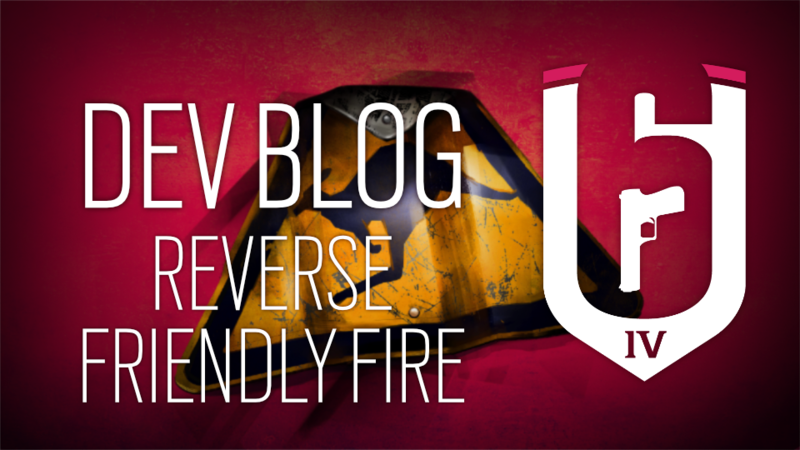 We look forward to hearing your feedback and findings on the Reverse Friendly Fire system through the forums[forums.ubi.com] and on the official subreddit! Fixed – The letter "V" is censored in the in-game text chat. Fixed – When prone, moving/turning the camera even slightly will cause the Operator to make noise. 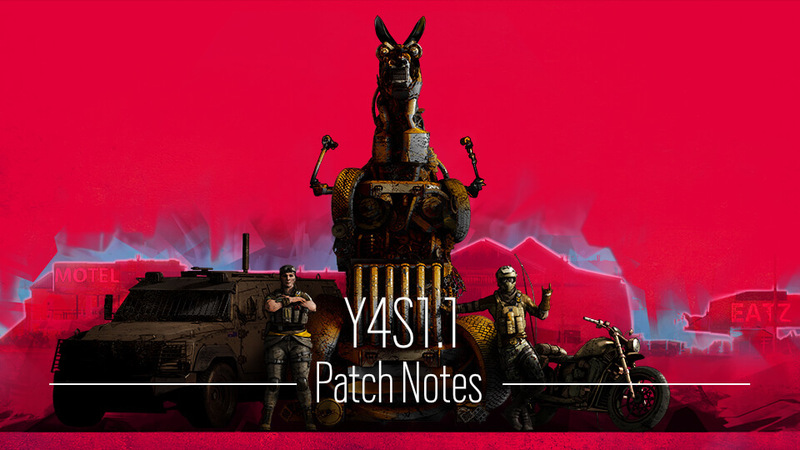 This problem is tied to the shield operator rotation fix for Y4S1, so we’re reverting back to the old rotation system for the time being. What that means for the Shield Rotation Desync fix: While we have reverted the new rotation system for now to address the rotational noise issues, we’re going to work on improvements to the rotation system and the shield desync fix so neither is an issue. Unfortunately, this means that the shield rotation desync issue will be present again for the time being. We are still targeting some time during Y4S1 for the shield rotation fix to be implemented, and will update players when we have more info. Fixed – The "Ocean’s Teeth" Weapon Skin for IQ’s 552 Commando is unavailable. 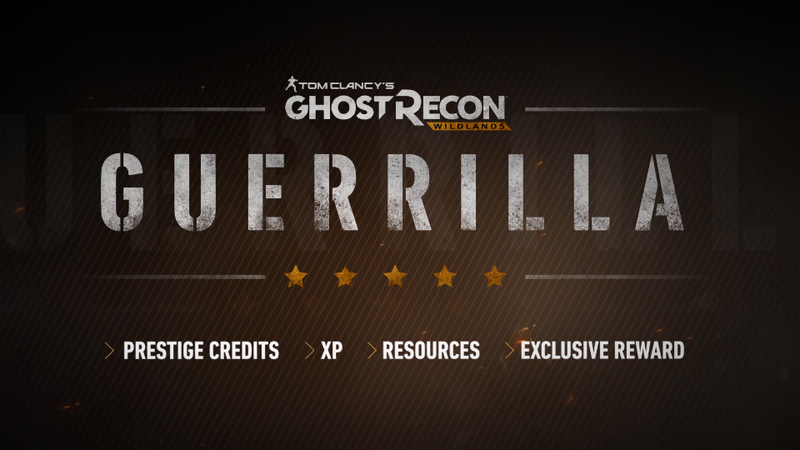 For more information about Guerrilla Mode, head to our Developer Q&A here[www.ghostrecon.com]. The Sapper is a new Support class option. His primary weapons are the TAR-21 and 9×19 VSN. Sappers can deploy a specialized drone that shoots "concussion" mines. These mines drain stamina from players and suppresses them, slowing down their rush. • Fixed an issue where the player’s NPC teammates glitch through the ground when opening photo mode and some icons were glitched. • Fixed an issue where the aim assist option doesn’t save after applying the change and confirming the save change prompt. • Fixed an issue where the silencer for the Assassin’s primary weapon Vector Spectra was not shown and could not be removed. • Fixed an issue where Toxic’s Toxic gas would not affect players when deployed on certain props. • Fixed an issue where Echelon’s Sonar Vision was not deactivated when the character was swimming. • Fixed an issue where Time doesn’t show days in the landing page. 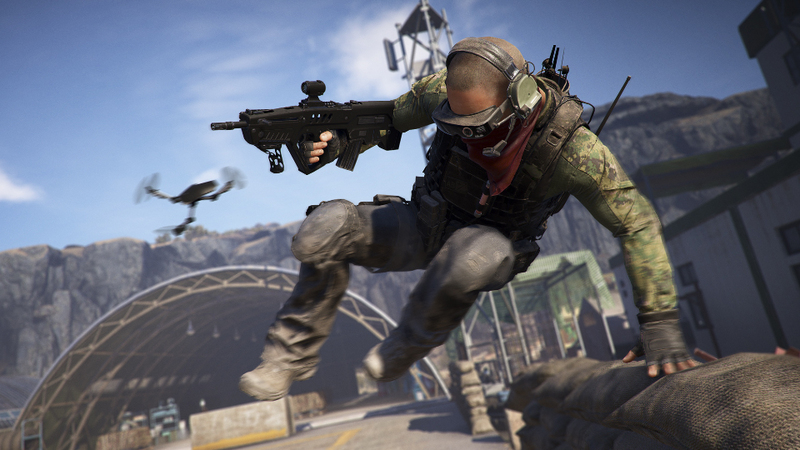 Your support during Year 2 of Ghost Recon Wildlands has been truly incredible and we’re so excited for you to get your hands on the next Special Operation. 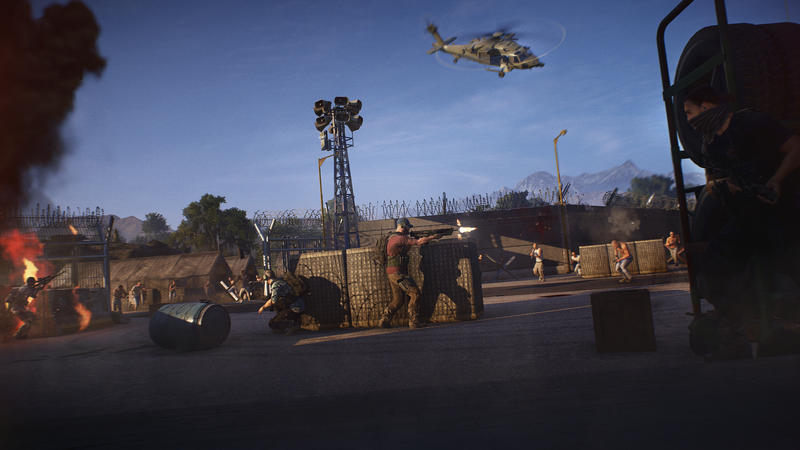 Our last update for Year 2 of Wildlands, Special Operation 4, will be dropping on Wednesday, February 27. Special Operation 4 will feature brand-new content for PvE and PvP players, community-requested features, and more. 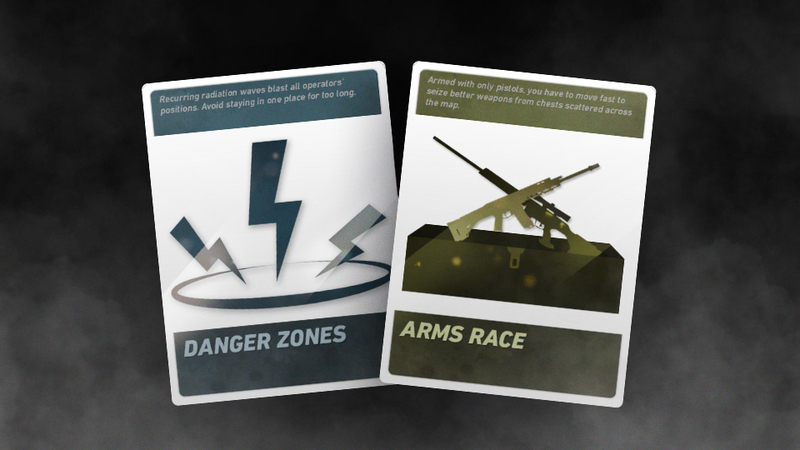 PvE Mode and Reward: Special Operation 4 contains a brand new PvE mode that will test your endurance. Upon completing the mode for the first time, you will receive an outfit set. PvP Class and Maps: Another soldier is ready to join the fight. Ghost War will get one additional class, as well as two new maps. 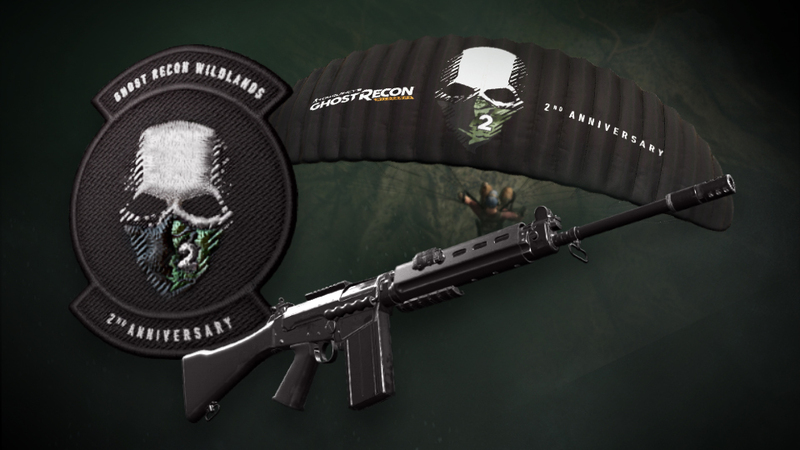 Year 2 Pass: Year 2 Pass holders will get a free pack containing customization items and a weapon, as well as early, direct access to the new Ghost War class starting on February 27 for one week. Time of Day for Solo Campaign Mode: Players will now be able to change their Time of Day via a new setting option in solo campaign mode and solo Ghost Mode. Battle Crate Update: We will be moving all Voice Lines and a selection of Emotes from Battle Crates to Prestige Crates. Prestige Crate Update: Drop rates modified to be more generous for higher rarity items. Custom Match Browser: You will be able to create and browse custom matches based on your selected criteria. Challenges: We are moving from Challenge Seasons to a selection of Daily Challenges (three Solo, one Task Force, and one Community Challenge) with increased Prestige Credit rewards. PvP Events: Two new Events added to the pool. We will have more intel to share with you soon. 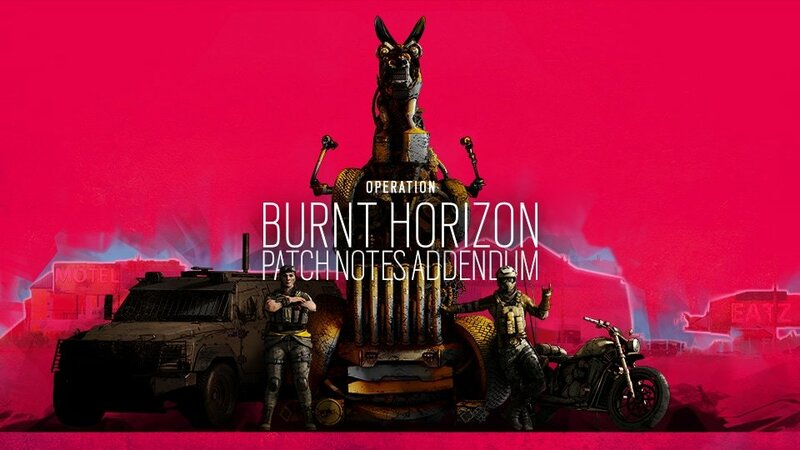 Rainbow Six goes to the land Down Under for Operation Burnt Horizon. Protection specialists with the SASR Mobility Platoon, Gridlock and Mozzie are assigned protection detail for a high-value convoy across sunburnt country. An unscheduled pit stop at a lonely petrol station turns into a standoff when their convoy is unexpectedly pinned down. 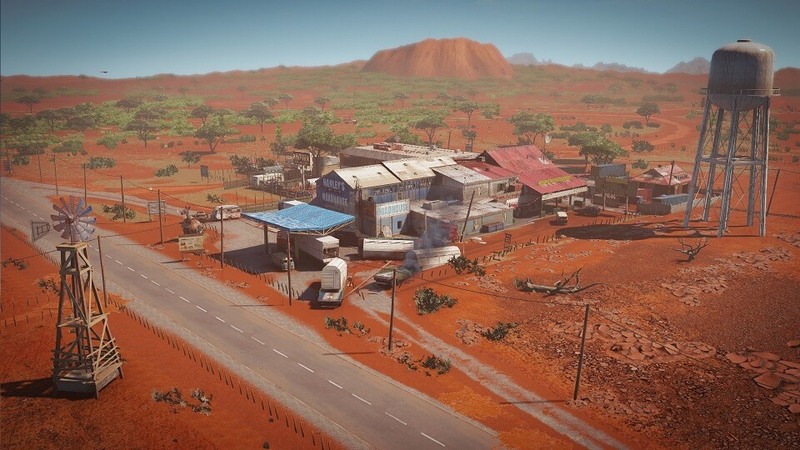 Discover the new Outback service station map, where the red desert brings plenty of heat. Find more details in the full Patch Notes below, as well as many gameplay fixes implemented this Season. 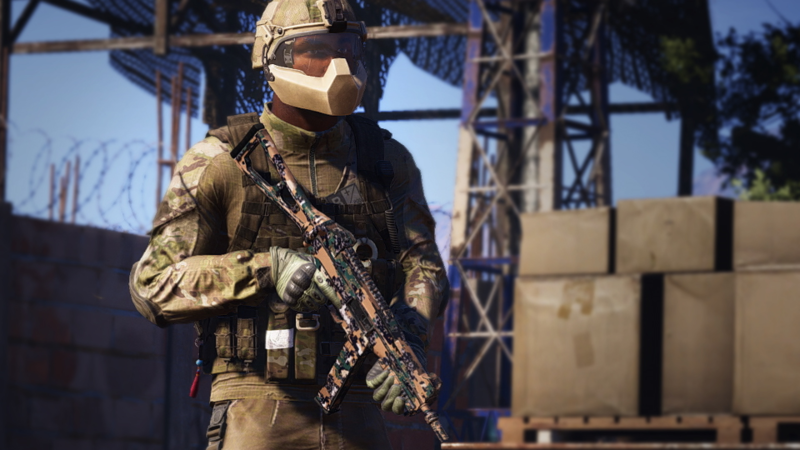 The Australian Special Air Service Regiment (SASR) Mobility Platoon recognized Gridlock’s leadership qualities and mechanical prowess right away. With an airplane mechanic father and raised on a cattle farm where something always needed fixing, Gridlock found her calling in repairing engines. She’s a get things done person, who doesn’t shy away from hard work. Her skills don’t end there. She has expertise in a range of weapons and close protection duties, and has the ability to adapt to unexpected situations. Thanks to her engineering expertise, she received the National Emergency Medal for saving firefighters during the Esperance bushfires. When the stakes are high, she’s calm and collected. Her dry wit and patience makes her about the only one able to handle her Aussie cohort, Mozzie. Working in the SASR’s Mobility Troop Gridlock devised the Trax Stingers. A variation of road spikes, they aren’t just about stopping vehicles. Trax’s design is a portable version that when activated, deploys a hexagonal cluster of spikes. These Trax Stingers cover uneven ground better than a straight mat. Once deployed they can replicate and spread out over a large area. This feature, unique for an Attacker, enables them to use the Trax as an obstacle to reshape the map and control an area. Effects on the enemy include slowing them down and causing damage when stepped on. Trax Stingers will be destroyed when shot or dealt impact or thermal damage. Mozzie is a daredevil and fearless member of the Australian Special Air Service Regiment (SASR) Mobility Platoon. He excels in protection detail and reconnaissance operations, specializing in off-road driving and quick thinking. From an early age, he’s been racing bikes and building robots. Mozzie catches many people off-guard with his charm. He is clever and unconventional, and this can attract both the praise and wrath of his superiors. He and Gridlock have been friends and partners for many years. This partnership was put to the test when they were deployed together during the Esperance bushfires. Mozzie received the National Emergency Medal alongside Gridlock for saving firefighters during this operation. Mozzie’s Launcher is like no other. Pests are tiny 4-legged bots that can be used to target a single drone, or deployed into an area to prevent access by a drone. When launched, the Pest latches onto the nearest enemy drone and obscures its camera. It then initiates an override sequence to hack the drone and give control to Mozzie. Counter-intelligence is enabled with no risk of a counter hack. Single-use only, Pests self-destruct by dissolving into thin air once their target is in Mozzie’s control. Attackers are notified when their drones are nearing a deployed Pest. Once aware of the Pest, Attackers need to think carefully: should they risk giving their drone to Defenders, or retreat and lose potential intel? Welcome to the Outback! This map kicks dust in your eyes in its homage to all the lonely service stations and motels along the forgotten highways that cross Australia’s desert. 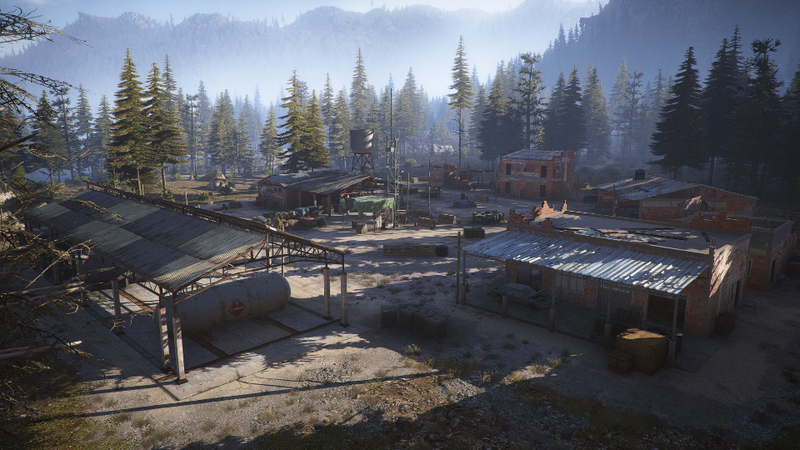 Fan favourites Oregon and Clubhouse were the inspiration when designing the 21st map of the game. The map is divided into three distinct sections – the Garage, the Motel, and the Restaurant – with much effort put into ensuring each section is recognisable, even from a distance. The focus returns to a style of gameplay that players have enjoyed in the past. There’s only one door between each of the sections but roamers can create new paths by destroying walls, and there’s always the option of changing floors as a flanking strategy. It’s a medium-sized map, so players won’t need to go far to find alternative routes. Packed with twists, turns, and Australiana, Outback is filled with unexpected corners and souvenirs from the Great Southern Land. Explore this map in Australia’s Red Heart on our test server and submit your feedback on R6 Fix. 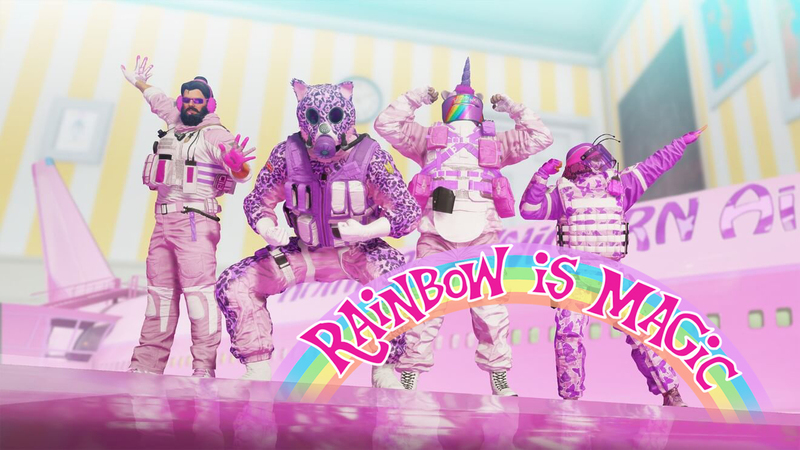 The Rainbow Six Siege team is releasing a new Newcomer playlist and offering updates to the Casual playlist. First off, we are releasing a new multiplayer playlist for players under level 50, called the Newcomer playlist, to help them learn the basics of Rainbow Six Siege. They will play the Bomb mode of classic maps most representative of the game’s core gameplay, namely Chalet, Bank, and Consulate. Attackers will vote for a team spawn point while on the Defenders’ side, the bomb sites will be automatically pre-selected by the game. The Casual playlist will now improve the flow between the Newcomer and Ranked playlists. There are three key updates. First, the Defenders will know which bomb sites are selected before choosing their Operator. 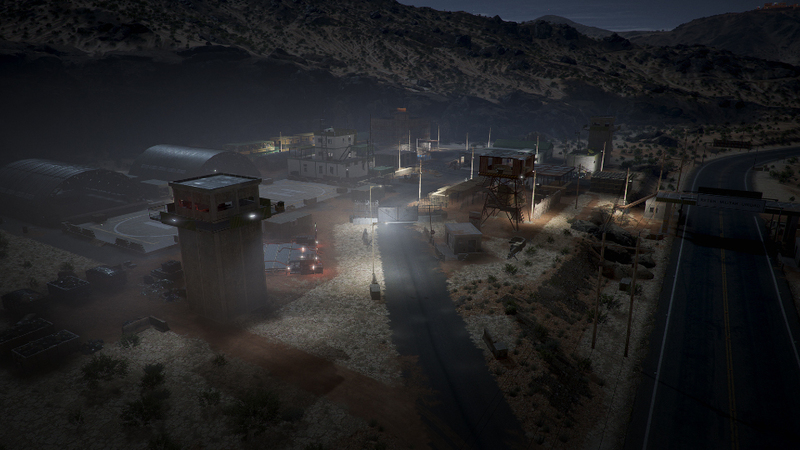 Second, the Attackers will now choose their individual spawn points. Third, the Action phase now lasts 3:30, allowing for an intermediary step between Newcomer and Ranked. Finally, in order to stabilise the Ranked gameplay experience, the required minimum level has been raised to 30. This is meant to encourage beginners to take their time and learn the game before engaging in Ranked play. We are sharing the teachings of the Japanese martial art Kyudo with this elite set. Operator Hibana knows better than most that learning a martial art takes a lifetime to master. 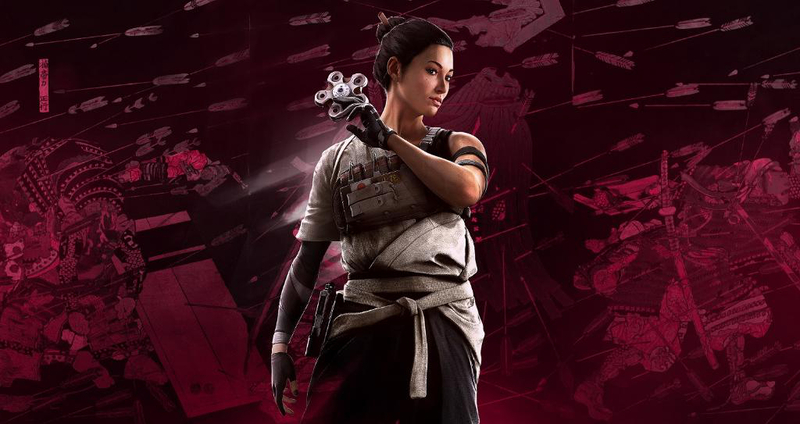 Embodying precision and beauty, Elite Hibana proudly wears the Onkochishin uniform, along with the following: Victory animation, operator card, gadget skin for X-Kairos, and weapon skin for the Type-89, SUPERNOVA, P229 and BEARING-9. She’ll also have the Elite Hibana Chibi charm. 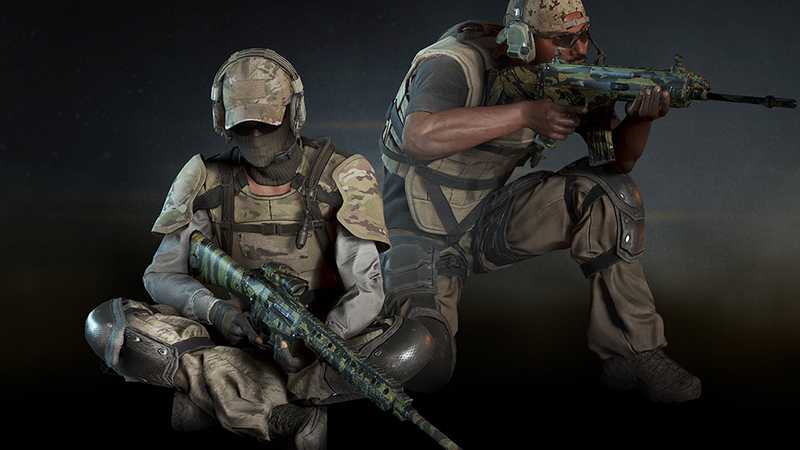 This set will be available with Operation Burnt Horizon. 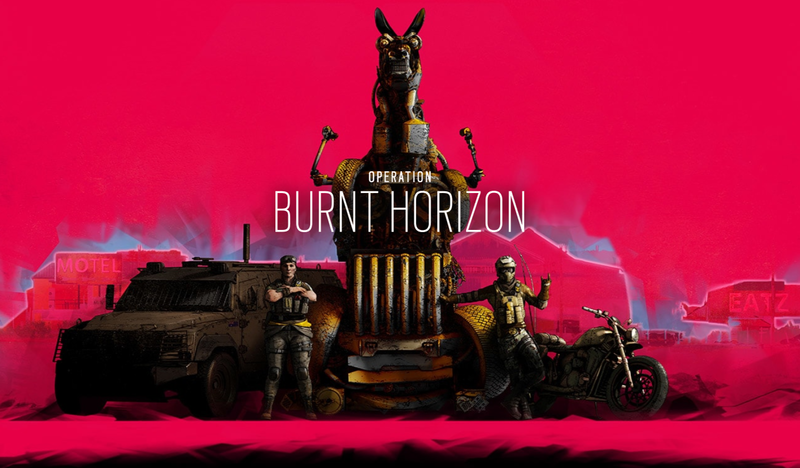 Operation Burnt Horizon features a series of iconic themes of the land Down Under. From traditional aesthetics to sand, sea and surf, these skins evoke the fun and wild atmosphere of Australia. This seasons weapon skins include the scaly freshwater Crocodylus, dangerous Ocean’s Teeth and finally hit the surf with Board Cove. Seasonal weapon skins are released upon season launch and can purchased during that season. 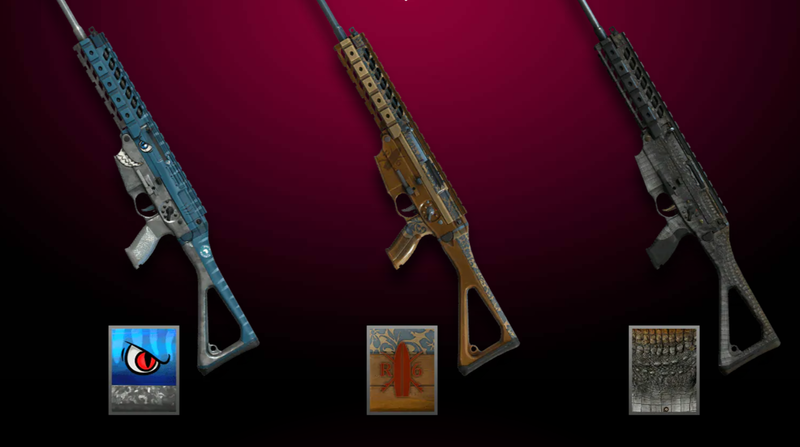 Once unlocked, the seasonal weapon skins can be applied to all available weapons and will remain in the player’s inventory. We are thrilled to launch another year of Rainbow Six Siege content with our Year 4 Pass. Your continuous support is essential as it drives us forward, and ensures our longevity. As a thank you gift to Year 3 Pass owners who renew their Pass for Year 4, we offer 600 additional R6 Credits. Follow the link below for a detailed list of everything included in Tom Clancy’s Rainbow Six® Siege Year 4 Season Pass. Find the Contents of the Year 4 Season Pass here[rainbow6.ubisoft.com]. We wanted to make the breach charge safer and more comfortable for the attackers to use. We have identified a way to have a substantial impact on the viability of spamming crouch and lean commands. Currently, player animations allow players to snap from left to right lean, as well as crouching, without going through the full animation for that action. We will deploy a fix that prevents this from being exploitable in Y4S1. We will continue to monitor the situation following the deployment of this fix, and take necessary steps should it not have the desired outcome. We will be testing a switch to Advanced Gadget Deployment for all players. 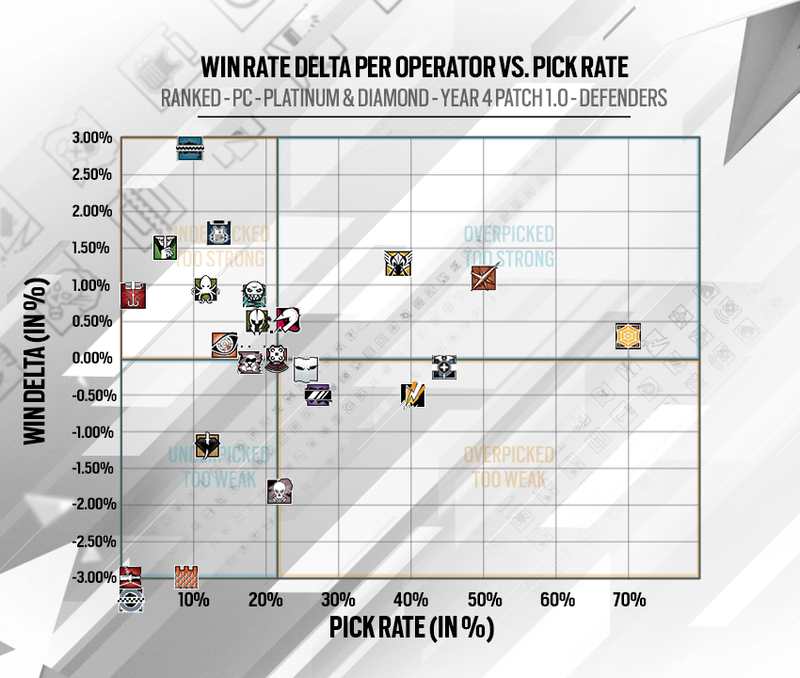 We feel very strongly that Advanced Gadget Deployment is the proper way to play Rainbow Six Siege, as it allows for more control over your Operator, as well as increased fluidity. As always, we will be monitoring feedback on the Test Server, so please let us know what you think about this feature! When Shield Operators turn in place, there is a slight delay before the shield and upper body snap to align with the legs. This can cause a mismatch between first and third person perspectives. We are deploying a change that will make this left and right motion more fluid, and ensure that first and third person perspectives are aligned. Fixed – Sometimes Guard Break is cancelled when a player shoots the shield and melee’s at the same time. Fixed – The guard break animation displays incorrect behaviour when the shield Operator leans to the side. Fixed – Silent Step’s lowered stance is not replicated in first person.